Leading industrial growth and social change in the country, Maharashtra has been the powerhouse of economic progress in South Asia. Maharashtra contributes 13% of national GDP and the state's per capita income is 45% higher than the national average of Rs 87,748 (per capita GDP for 2014-15). Nearly 64% of its people are employed in agriculture and allied activities. Almost 46% of the GSDP ($264.8 billion in 2014-15) is contributed by the industrial sectors. The industries in Maharashtra contribute 25% of the all India output from this critical sector. The state has had a long history in textiles and Mumbai was the original home of India's textile mills. Solapur, Ichalkaranji, Malegaon and Bhiwandi are some of the cities that have established a brand identity of their own in textile industry. Sugar industry has made considerable progress especially in the co-operative sector. Maharashtra is well known for the development of co-operative sugar industry whereby the farmers acquire a share in the sugar mills. 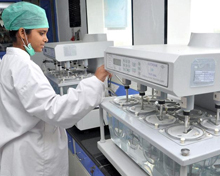 Pharmaceuticals, petrochemicals, heavy chemicals, electronics, automobiles, engineering, food processing, and plastics are some of the major industries in the state. 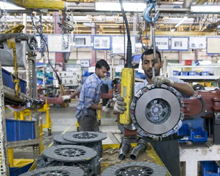 Maharashtra is renowned for the production of three-wheelers, jeeps, commercial vehicles and cars, synthetic fibres, cold rolled products and industrial alcohol. Small scale industries have also come up in a big way in the state. The state capital Mumbai and the Mumbai Metropolitan Region (MMR) have historically been the most industrialised area in the state. Industrial development in the state is largely concentrated in the Pune Metropolitan Area, Nashik, Aurangabad and Nagpur. The six important industries in the state are cotton textiles, chemicals, machinery, electricals, transport and metallurgy. Pune is emerging as one of the largest automobile hubs in the country. In order to expand the industrial growth across the districts, the government had established Maharashtra Industrial Development Corporation (MIDC) in 1962. MIDC provides businesses with infrastructure such as land (open plot or built-up spaces), roads, water supply and drainage facilities, among others for setting up their factories (industrial units). More than 250 industrial areas have been developed around the state with emphasis on different sectors such as core manufacturing, software, pharmaceutical and wine. Maharashtra has established a strong presence in many sectors including engineering, electronics, hardware, automobiles and auto components, consumer durables, chemicals, petrochemicals, pharma, IT and biotechnology. It offers a very favourable environment for global businesses, top-class infrastructure, quality manpower and professional work ethics. The state government has several policies in place to set up the right kind of business climate in the state. These policies aim to encourage investment into various sectors in the state, thereby contributing to the overall development of the economy. Total foreign direct investment (FDI) in the state stood at $73.12 billion from April 2000 to March 2015, the highest among all states in India. The state government is promoting the setting up of special economic zones (SEZs) across districts for sectors such as IT/ITeS, pharma, biotech, textile, automotive and auto-components, gems and jewellery and food processing. As of 2014-15, the state has 9 operational SEZs, out of which majority are contributed by engineering and electronics segments. Delhi-Mumbai Industrial Corridor (DMIC), a mega infrastructure project is under construction at a total cost $90 billion, with the help of the Japanese government. Japan has agreed to lend $4.5 billion for this project. Seven nodes are in the development stage for the Phase-1 of the project which is expected to boost India's manufacturing sector. An international biotech park in Hinjewadi, 10 km from Pune, has been set up. This is the first public-private biotech park in the state. 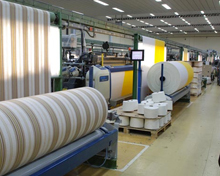 Textile parks aimed to provide infrastructure components for the textile sector and enhance productive capacity are being set up in Maharashtra to maintain its leadership position in garment exports and production. The state government has announced plans to invest $1,658.2 million for the development of railways infrastructure. As part of the "Make in India" initiative, the state government is planning to come up with an electronics policy for companies interested to invest in this sector. Till December 2014, in all about 2.12 lakh micro, small and medium enterprises (MSMEs) were functioning in Maharashtra with investment of Rs 50,637 crore and 26.9 lakh employment. As per the provisional results of Annual Survey of Industries (2012-13), the state is at the top position in terms of gross value added, fixed capital and emoluments to employees. The advance estimates of the GSDP for 2014-15 at constant (2004-05) prices is expected at Rs 9.47 lakh crore, with a growth of 5.7% over2013-14. 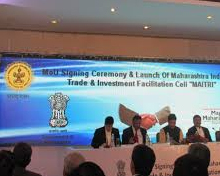 In order to boost industries, the government has taken steps like reducing the number of approvals, single window facilitation through MAITRI (Maharashtra Industry, Trade and Investment facilitation cell) and creation of e-platform for clearing new investments. For ushering in economic growth in backward areas, the state has repealed the river regulation zone policy and offered additional FSI for new units in agriculture zones among others. The state has attracted highest number of proposals having maximum employment potential. From August 1991 to October 2014, in all 18,709 industrial proposals with an investment of Rs 10.63 lakh crore were approved. Out of these 18,709 proposals, 8,376 projects (44.8%) with aninvestment of Rs 2.54 lakh crore (23.9%) with proposed employment of 10.95 lakh were commissioned. The remaining 2,115 projects with an investment of Rs 88,086 crore and proposed employment of 3.03 lakh are under execution. Of the total proposals and investments received in the country, Maharashtra's share is about 18% and 10% respectively. The main products exported from the state are gems and jewellery, software, textiles, readymade garments, cotton yarn, metal and metal products, agro-based products, engineering items, drugs and pharma, and plastic items. To recognise the efforts of the exporters and further boost their productivity, the state is taking initiatives like giving awards based on export performance and implementing space rent subsidy scheme for SSI units for participation in exhibitions. In 2012-13, total exports from Maharashtra stood at Rs 4.17 lakh crore as against India's exports of Rs 15.46 lakh crore. For 2013-14 (till October 2014), the state exported Rs 2.88 lakh crore worth of goods as against the national exports of Rs 10.68 lakh crore. The state has approved 417 mega and large projects during the period from August 1991 to November 30 2014 by way of MoUs with an investment of Rs 3.38 lakh crore and proposed employment of 3.67 lakh people. Of these, 119 projects with an investment of Rs 40,771 crore and proposed employment of 76,000 people were commissioned. While 121 projects with an investment of Rs 92,590 crore and expected employment of 1.14 lakh people are under execution. As per the fourth census of MSME 2006-07, as on 31st March 2007, in all 86,635 MSMEs were working in the state with an investment of Rs 14,859 crore and employment of 10.95 lakh people. Till December 2014, in all 2,11,403 MSME units, with an investment of ` 50,637 crore and generating employment of 26.95 lakh people were functioning in the state. Maharashtra is at the top position among states in terms of gross value added, fixed capital and emoluments to employees with share of 19.6%, 15.9% and 19.8% respectively at all-India level, according to the Annual Survey of Industries (ASI 2012-13). In terms of number of factories, the state is at second position in the country with share of 13%. The contribution of the state in total value of output, working capital and in the net value added (NVA) in the country was 16.9%, 17.1% and 20.3% respectively. The state has adopted the Special Economic Zone (SEZ) policy with effect from February 2006 to boost the economic growth. Maharashtra has received 236 SEZ proposals upto December 2014. Of these, 124 SEZs were approved by the Centre (formal approval 104 andin-principle approval 20) and 66 of them are notified. As on 31st December 2014, in all 24 SEZs were executed with total investment of Rs 18,786 crore on an area of 3,059 hectares which generated employment for about 1.31 lakh people. Maharashtra Industrial Development Corporation (MIDC), CIDCO and Software Technology Park of India have developed 37 public IT parks. In all 494 private IT parks have been approved, of which 29 developers withdrew their LoI (letter of intent) due to recession at the global level. Out of 465 IT parks, 144 have started functioning with an investment of Rs 3,332 crore and proposed employment of about 4.44 lakh. The remaining 321 IT parks with proposed investment of Rs 8,955crore have given LoIs and are expected to generate 11.94 lakh employment opportunities. 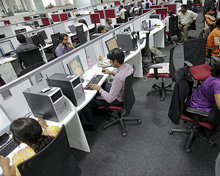 The private IT parks are located in Pune (166) followed by Greater Mumbai (158), Thane (128), Nagpur (5), Nashik (4), Aurangabad (3) and Wardha (1) districts. During 2014-15, a total 15 private IT parks were approved. In order to encourage the dispersal of industries to the industrially less developed areas, the state has been giving a package of incentives for new or expansion of units located in such regions. The scheme was amended from time to time and the state has declared Package Scheme of Incentives-2013 (PSI) will remain in operation from April 2013 to March 2018. Eligible units in the private sector, state public sector, joint sector, co-operative sector and mega projects of central PSU are considered for providing incentives under PSI-2013. Under the scheme during 2014-15 up to December, an amount of Rs 1,762 crore was disbursed as an incentive to eligible MSMEs, large scale industries and mega projects.